Our company is committed to permanently enhancing the young graduate students’ skills. This year, we have developed successful partnerships with both Romanian and abroad universities. And this summer we had the opportunity to discover and learn about Japan. 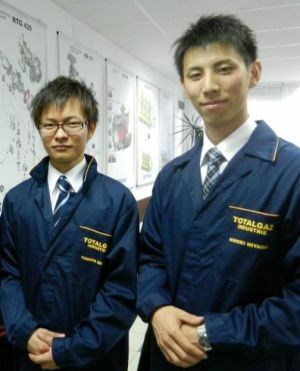 Totalgaz hosted the experience of two Japanese students, Hiroki Miyaoka and Tomoya Negishi, attending the courses of two prestigious education institutions in Japan – University of Tsukuba and Hokkaido University. Hiroki and Miyaoka showed us the analytical mind and rigorous honesty of the Japanese; meanwhile, we offered them the possibility to get involved into the ongoing projects and test their resources in the highly demanding environment of TOTALGAZ INDUSTRIE. Tomoya Negishi - 'It is rare for a Japanese student to receive an internship in an European company. That is why I am really grateful to TOTALGAZ INDUSTRIE. In this internship, I had many things to learn. Especially from the staff of TOTALGAZ INDUSTRIE, which is made of very nice people. They work diligently and respect each other. In August, during 18th -19th, 2011, we had the great pleasure of receiving the visit of Mr. Wataru Fujisaki, General Manager of the Tokyo Gas Branch in France. Mr. Fujisaki has a remarkable experience in the field of natural gas. 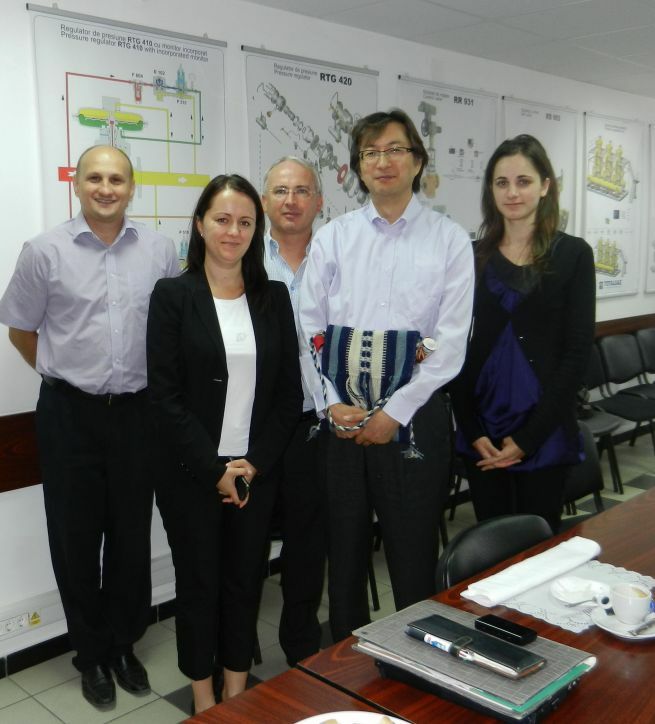 During his visit, Mr. Fujisaki was interested in finding out more about our company. Our products, the relationships we build with our customers, state-of-art technologies, management information system we develop have consolidated the positive image of TOTALGAZ INDUSTRIE. We hope to create the basis for long term collaboration and to obtain excellent results for both parties. Thank you for your visit, Mr. Wataru Fujisaki! We are looking forward to working together on future projects! In may 2011, TOTALGAZ INDUSTRIE delivered the first high-pressure station, ANSI 600, for Tokyo Gas Engineering in Japan. TOTALGAZ INDUSTRIE has successfully delivered to SNGN ROMGAZ the first Romanian Well Testing Equipment. TOTALGAZ INDUSTRIE continues to enhance the Tokyo Gas Engineering partnership by delivering high pressure gas regulators and regulating stations provided for the reconstruction and development of the Japanese natural gas distribution network. TOTALGAZ INDUSTRIE has been awarded with the Contract for the supply of filter separators to RWE, in the context of Gazelle international project on energy security. TOTALGAZ INDUSTRIE has launched quick opening closures.